We are a leading Manufacturer of electro mechanical relay modules and electromechanical relays from Delhi, India. We are reckoned as a one of the distinguished manufacturer, trader and supplier of quality Electro Mechanical Relay Modules. These relay modules are designed with utmost precision using high grade raw material & modern technology. The given relay modules are demanded in the market owing to their superb quality & long service life. 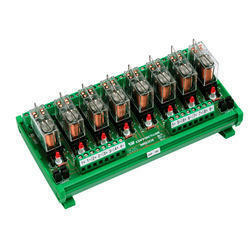 Also, our entire range of relay modules is offered at most reasonable prices to our customers. 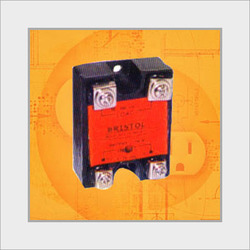 We are one of the leading organizations, engaged in offering a premium quality Electro Mechanical Relay Modules. Demanded in electrical industry, these relay modules are well tested on quality provisions, in order to provide flawless range. Our offered relay modules are manufactured by advanced technology & finest quality of material under the supervision of our skilled personnel. 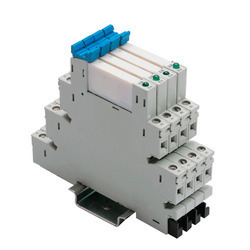 Also, customers can avail these relay modules from us in various specifications according to their choices. We offer the broadest range of relays: electromechanical, solid state and hybrid types range from SMT PC board mount devices to large panel mount units. Our broad line of relays features expansive sets of options for enclosure, termination, input, contact arrangement and rating. High performance types are designed specifically to operate in extremely rigorous environments (shock, vibration, temperature, altitude) such as encountered in military and aerospace applications. Looking for Electro Mechanical Relay Modules ?